Different holidays are celebrated all over the world. 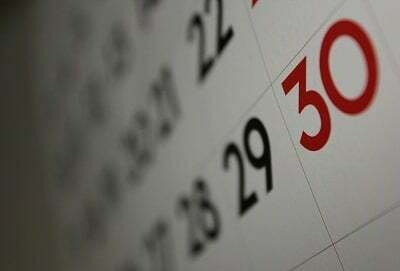 These holidays are often listed on calendars and have symbols attached to them. In this article we will discuss four symbols that are attached to four holidays: the shamrock for St. Patrick’s day, Flags for Independence days around the world, the Jack-o-Lantern for Halloween, and hearts for Valentine’s Day. The shamrock has religious symbolism to go with the holiday, but it has cultural significance as well. St. Patrick was a Catholic Saint that lived in Ireland hundreds of years ago. He introduced his religion to many new people, making him an important figure in the Catholic church. The shamrock was associated with the saint, making it the symbol for St. Patrick’s Day. The shamrock has religious significance because of it. The shamrock has three leaf-like parts to it, representing the Father, Son and Holy Ghost in Christianity. The three leaf-like projections have significance to the Celts, symbolizing the different facets of nature. The lucky four-leaf clover can also symbolize wealth, health, love, and respectfulness. Flags from around the world are used to celebrate many different holidays. Many countries adorn their flags with colors and symbols that are important to their culture. For instance, the star of David is an important Jewish symbol that is the center of the flag of Israel. Other flags have religious significance, like the flags of Iraq and Saudi Arabia. Red is a symbolic color of power with makes up much of of the flags of China and the former Soviet Union. Other symbols that lie on flags are the Cedar Tree of the Lebanese flag and the hammer and sickle on the old USSR flag. Many other parts of flags are symbolic, these are just a few examples. The story of the jack-o-lantern as we know it today is an interesting one. It’s symbolism is defined both by the holiday that it is used in, as well as the plant it is made out of. When Halloween was only celebrated in Europe and the surrounding countries, the pumpkin wasn’t on the continent yet so their jack-o-lanterns were made out of potatoes and other things that they had readily available. When immigrants moved to the New World, they discovered pumpkins. These were much easier to carve than the plants that they had been using. They were also tasty. In a way, the jack-o-lantern can symbolize change and development. Expansion is also a great word to describe jack-o-lantern symbolism because the immigrants later brought pumpkin seeds back to Europe, spreading the plant around the continent. Hearts are, of course, a symbol of love. It is also a symbol for mistakes and spirit. There are many ideas of where the shape of the heart came from. Obviously the way we draw hearts on Valentine’s Day cards is not what hearts in human bodies look like. One reason why hearts as we draw them look the way we do could be because that’s just the way people thought that hearts looked like. Other people believe that the drawn heart didn’t come along until the 17th century when the Catholics drew it in a religious painting. Others simply suggest that the heart looks like a pretty flower. No matter why it first came to be, it makes a great symbol for the holiday.